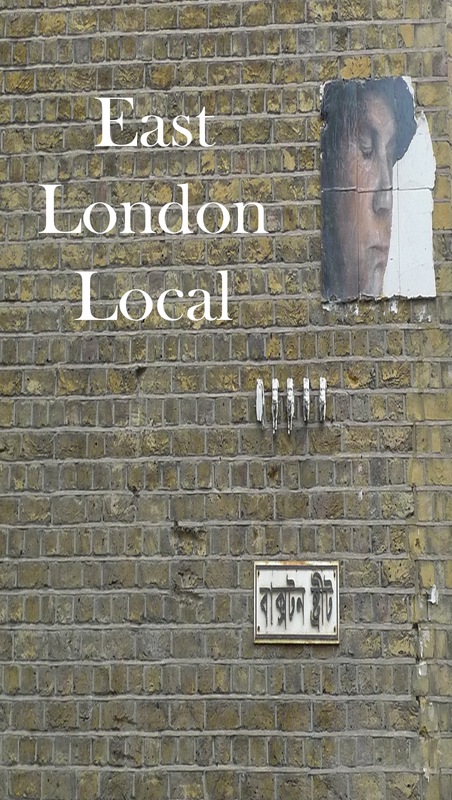 Now that there are no doubt thousands of tourists stumbling up from the underground and wondering where to go apart from Westfield and Macca’s, I thought I’d publish the ten places in London I am feeling particularly fond of today. If you like the sound of them you can buy my e-book, where you’ll find many more (details below). There’s a row of pubs in Limehouse, which you can reach by ambling along the canal from Hackney. My top choice would be The Grapes, a creaky old place with a tiny balcony out the back perched over the Thames; when the tide is high it’s a bit like drinking beer on a Victorian barge. Dickens used to drink here, and you can catch something of that time in the rich atmosphere (it was established in 1583). Open: Mon-Wed 12pm-3pm & 5.30pm-11pm; Thur-Sat 12pm-11pm; Sun 12pm-10.30pm. Bestowed on the people of the East End by Queen Victoria – a green lung in that smoky era – it is still one of the most beautiful parks in all of London. Fantastic playgrounds, beautiful avenues to walk along and a canal running along one side towards the Thames. Open daily, 6am until dusk. Tube: Mile End, or local buses. Two meals are sacrosanct in England – the Sunday Roast and the Hungover Fry-up. Royal Inn on the Park, a beautiful old pub right on Victoria Park, does a very good Sunday roast, and you can walk it off with a stroll through the park. The roast beef is very good: two huge slices of rare sirloin beef, spuds, carrots, dark gravy, red cabbage and horseradish. And they have real ales and pear cider on tap. There’s a huge beer garden (read: stay away on hot weekends) and it’s kid and dog friendly so a good one for families. Quirky, creepy and sometimes shocking, the exhibitions at Viktor Wynd Fine Art aim to promote an eclectic range of artists; in this it succeeds. Viktor Wynd himself is an artist who helps run The Last Tuesday Society, which holds spectacular balls and parties, as well as lectures delving into all kinds of weird and wonderful subjects. Upstairs is a changing exhibition space and shop, downstairs a showcase of garish specimens – deformed skeletons, old dolls, even a child’s white coffin. Not a gallery for the delicate, or easily spooked, but bold and fascinating. It’s easy to forget that Hackney has its very own National Trust property. In fact, the woman in the gift shop was saying that the main problem Sutton House on Homerton High Street faces is that it doesn’t get the visitors, because no one seems to know where it is. And in a classic computer-says-no catch-22, Hackney Council won’t provide better signposting because it doesn’t get enough visitors. Built in 1535, it has been home to merchants, squatters and Huguenot weavers, and has the sort of hushed atmosphere you’d expect of a building that’s seen people come and go for almost 500 years. As well as the house, it has a beautiful café serving cream teas, with a timber-panelled room lined with second-hand books, a sunny conservatory and an outdoor patio. Hackney does a brisk trade in secondhand books – Oxfam on Kingsland Road, as well as the little charity shop in Hackney Central are both worth a look. And the one at Sutton House is particularly good – on my last visit I found not just last year’s bestselling novels, but fondue cookbooks from the seventies, Doctor Spock, old cloth-bound volumes, newer releases like Henning Mankel and TC Boyle, what appears to be a retired psychologist’s entire library, plus obscure poetry, gardening, travel and plenty more. An unexpected treasure on Homerton High Street. In an unmarked warehouse beside the train tracks just off Kingsland Road you’ll find Passing Clouds. The staff are friendly, with the doorman helpfully calling out ‘Passing Clouds?’ as you stumble along in the dark towards the discreet entrance. Inside, it’s more like a house party than a nightclub, with knick-knacks and mismatched chairs scattered about, and a bar serving drinks in plastic cups. During the day it holds everything from ceramics classes to screen-printing workshops and film screenings (often contemporary political documentaries); on Sundays they hold a People’s Kitchen, cooking up surplus produce from the local area and eating it communally. A singular and fine-spirited enterprise. Some would argue that, being in Stoke Newington, this place is more North than East London, but it’s worth a mention anyway as an extremely family-friendly Sardinian restaurant with great food and a lively, easygoing atmosphere (come on a Saturday and there will usually be a children’s birthday party in progress, to give you an idea of the clientele). The Il Bacio pizza is divine – rocket, asparagus and parma ham – but I’m also a big fan of the spaghetti vongole, which is topped with shaved bottarga, a Sardinian speciality of salty dried fish roe. Mmmmm. They also do deliveries. No tube. Bus from Dalston Junction or Highbury Corner (check at tube station for the right numbers). Or just order a pizza. You can get takeaway kebabs at Anatolya, but it’s worth hanging around and eating in, especially in winter when the huge ocakbasi barbecue warms up the room. The service is reliably good, the prices are honest, the food is fresh and it’s got a loyal local following. Start with the lahmacun, or Turkish pizza, which comes with salad. Then go onto a kebab or grilled fish – the mackerel is really good, and popular, too, so it’s always fresh. You can get yogurtli adana, which is a kebab cooked in yogurt with pita and caramelised butter (the kind of thing you get at Moro, but without the three-week waiting list) and everything comes with crunchy salad and rice. No building divides visitors to London more dramatically than the Barbican. A towering, vast Brutalist development built on a bombsite, with an arts centre at its concrete heart. Architecturally, it’s been described, perhaps a little unfairly, as a ‘beautiful failure – it’s badly sign-posted, the lifts have their own set of rules and the vast estate usually feels deserted, despite its central location. The only people you pass on the windy terraces and dark walkways are bewildered souls anxious to find the right theatre before their performance starts. It’s all a bit post-apocalyptic until you eventually reach the buzzing foyer, which is full of people necking wine and chatting on the red leather benches. Tip: If you do visit the Barbican, just follow the yellow line painted along those dark, endless walkways (it really is a yellow brick road) – and you’ll get to there eventually. It’s worth seeing for whatever exhibitions are on, or a Sunday movie, music, theatre, or just to let the kids run free in the outdoor areas or vast foyers. Persephone Books isn’t strictly in East London, but is so unique and gorgeous it’s worth a mention. Their raison d’etre is to publish the work of neglected female authors in signature dove-grey volumes. You can order the books online, but the shop is worth a visit for its blue-stocking Woolfian charm. This guide can be also very useful for Londoners who live in other parts of the city. Thanks for sharing this valuable information! I’m sorry, the problem with Sutton House not getting visitors is that it’s NEVER OPEN. I lived literally 20 metres from it for two years — I looked at it every day from my bedroom window — and never visited, despite also walking past it every day, because it has the most complex opening hours of any museum I’ve ever seen. I must have tried at least a dozen times and, each time, missed the appropriate window of opportunity. They’re only open for certain weekdays, in certain summer months, from 10am-3pm Monday and Thursday, 11am-4pm on a Wednesday, closed on a Friday, except every second week when they’re open on Tuesdays and Wednesdays only, but only between 9am and noon, unless it’s a Leap Year, in which case they’re open in April, but not if you want to go at any time other than 8.30-10.30 or 3pm-4pm.